Sometimes it’s best to stick with tradition. When it’s not, go red! The red ‘Illusion’ tuxedo coat by Jean Yves needs no introduction. 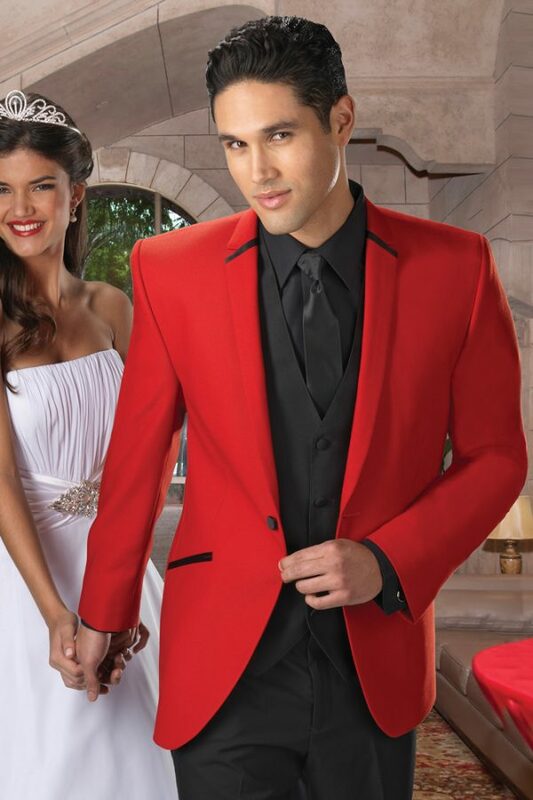 This undeniably cool red tuxedo coat is accented by a black single button front, black satin slanted besom pockets, and black satin trim on the self micro-notch lapel. As if that weren’t cool enough, you can flip up the collar for an alternate stand up collar with black trim! 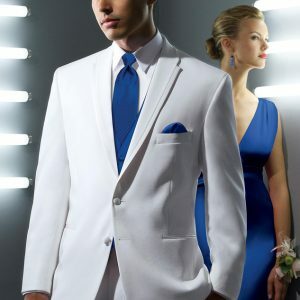 This is the perfect tuxedo coat for your prom, quinceanera, cruise, or anytime you’re signing autographs.